Turnabout’s fair play. After a Pride 4-2 win over the Dash in Houston last week, the Dash got their revenge over the Pride with a 2-0 win at Orlando City Stadium on Saturday. In front of a crowd of 5, 497, Orlando lost its first home game in its new stadium which opened earlier this year. The Pride wore rainbow numbers on their jerseys for the game in honor of LGBT Pride Month. Carli Lloyd, the reigning two-time FIFA World Player of the Year, scored her first goal of the 2017 NWSL season, in her second game since returning to the Dash last week. Lloyd spent the first half of the year playing with Manchester City. The win snapped a six-game losing streak for the Dash and improved their record to 3-7-0. It’s Houston’s first win since April 29. Lloyd’s goal came in the fourth minute of first half stoppage time to make it 1-0 in favor of the Dash. Defender Poliana, who leads the Dash this season with three goals, dribbled down the right wing into the box. Without an angle for a shot, she dropped it back to Lloyd standing just outside the right corner of the box. Lloyd struck it one-time past Pride goalkeeper Aubrey Bledsoe for her first goal of the season. “I was screaming really loud for it, for her to drop the ball back to me. Had a clear look on goal, just had to bend it, and it went in,” Lloyd said. Though not officially credited with an assist, Lloyd started the play that led to Houston’s second goal in the 62nd minute with a pass to Poliana. The Dash right back raced down right wing and sent a low cross into the box, right to the feet of Rachel Daly. The forward knocked it past Bledsoe for her second goal of the season. It’s Daly’s first since her brilliant-left footed curler in Houston’s first game of the year. Just before the hydration break in the second half, Dash forward Kealia Ohai went down with an apparent injury to her left knee. She stayed in the match once the game resumed, but went down again in the 74th minute after seeming to have trouble planting her left leg on a right-footed cross into the box. Ohai could be seen telling the Dash sideline that she needed to be subbed out. Nichelle Prince came into the match to replace Ohai. Poliana nearly made it 3-0 in the 79th, but her header off a corner kick went off the post. Marta, whose two goals and two assists led Orlando to a win last week, nearly got on the scoresheet on Saturday, though not with her legendary left foot, but with a header. From the left wing, Steph Catley sent a cross into the box, right to the head of Marta, but Dash rookie goalkeeper Jane Campbell got a hand on Marta’s effort, sending it up and off the crossbar. Campbell collected the rebound as Pride forward Jasmyne Spencer was just a few steps too late for a shot at the second ball. It was Campbell’s second start of the season and first since Week 2, a 5-1 loss in Seattle, and her first career clean sheet. All three of Houston’s wins this season have been shutouts. Orlando had a great chance to get on the board in the 85th minute off a Marta corner kick, but Campbell and the Houston defense would not break. Marta, who earned her second assist last week on a corner kick directly to the head of Alanna Kennedy, tried again to hit the Australian midfielder, but the Dash got to it first. Jamia Fields’ shot off the rebound was blocked and then Campbell cleared the ball away as Danica Evans jumped for a header on the loose ball. Dash interim head coach Omar Morales earned her first win as an NWSL coach after taking over following the departure of Randy Waldrum. The Dash next play on Wednesday at home vs. Boston before heading to Missouri for a Sunday matchup with FC Kansas City. The Pride fell to 3-4-3 with the loss. They head to New Jersey for a Wednesday meeting with Sky Blue FC before returning home to host the Chicago Red Stars on Saturday. Match ends, Orlando Pride 0, Houston Dash 2. Second Half ends, Orlando Pride 0, Houston Dash 2. Substitution, Houston Dash. Cambria Privett replaces Rachel Daly. Danica Evans (Orlando Pride) wins a free kick in the attacking half. Attempt blocked. Jamia Fields (Orlando Pride) left footed shot from the centre of the box is blocked. Attempt blocked. Danica Evans (Orlando Pride) header from the centre of the box is blocked. Assisted by Jamia Fields with a cross. Attempt missed. Carli Lloyd (Houston Dash) header from the centre of the box is close, but misses to the left. Assisted by Janine Beckie with a cross following a corner. Substitution, Houston Dash. Denise O'Sullivan replaces Andressinha because of an injury. Corner, Houston Dash. Conceded by Danica Evans. Attempt saved. Janine Beckie (Houston Dash) right footed shot from the right side of the six yard box is saved in the bottom right corner. Assisted by Nichelle Prince. Attempt missed. Danica Evans (Orlando Pride) right footed shot from the left side of the box is high and wide to the right. Assisted by Camila. Poliana (Houston Dash) hits the left post with a header from the centre of the box. Assisted by Andressinha with a cross following a corner. Corner, Houston Dash. Conceded by Jamia Fields. Attempt missed. Alanna Kennedy (Orlando Pride) header from the centre of the box misses to the right. Assisted by Toni Pressley following a set piece situation. Substitution, Houston Dash. Nichelle Prince replaces Kealia Ohai because of an injury. Corner, Houston Dash. Conceded by Ali Krieger. Carli Lloyd (Houston Dash) wins a free kick in the defensive half. Attempt missed. Marta (Orlando Pride) left footed shot from outside the box is high and wide to the left from a direct free kick. Substitution, Orlando Pride. Jamia Fields replaces Rachel Hill. Substitution, Orlando Pride. Maddy Evans replaces Mônica. Goal! Orlando Pride 0, Houston Dash 2. Rachel Daly (Houston Dash) right footed shot from the centre of the box to the bottom right corner. Assisted by Poliana. Attempt missed. Kristen Edmonds (Orlando Pride) right footed shot from long range on the right is high and wide to the right. Corner, Houston Dash. Conceded by Alanna Kennedy. Attempt blocked. Amber Brooks (Houston Dash) header from the left side of the six yard box is blocked. Assisted by Janine Beckie with a cross. Second Half begins Orlando Pride 0, Houston Dash 1. First Half ends, Orlando Pride 0, Houston Dash 1. Goal! Orlando Pride 0, Houston Dash 1. Carli Lloyd (Houston Dash) right footed shot from outside the box to the top left corner. Assisted by Poliana. Janine van Wyk (Houston Dash) is shown the yellow card for a bad foul. Attempt blocked. Poliana (Houston Dash) right footed shot from the centre of the box is blocked. Assisted by Andressinha. Carli Lloyd (Houston Dash) wins a free kick on the left wing. Attempt missed. Janine Beckie (Houston Dash) right footed shot from outside the box is high and wide to the left. Assisted by Poliana. Attempt blocked. Carli Lloyd (Houston Dash) right footed shot from outside the box is blocked. Attempt missed. Janine Beckie (Houston Dash) right footed shot from outside the box is close, but misses the top left corner following a set piece situation. Delay in match (Houston Dash). Attempt saved. Marta (Orlando Pride) header from the centre of the box is saved in the top centre of the goal. Assisted by Stephanie Catley with a cross. Offside, Houston Dash. 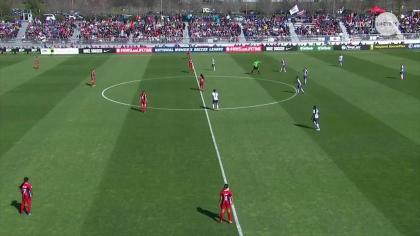 Amber Brooks tries a through ball, but Carli Lloyd is caught offside. Attempt saved. 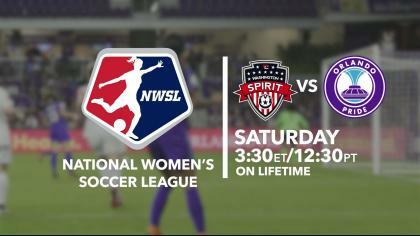 Rachel Hill (Orlando Pride) right footed shot from the centre of the box is saved in the centre of the goal. Attempt saved. Camila (Orlando Pride) right footed shot from outside the box is saved in the bottom left corner. Assisted by Stephanie Catley. Attempt missed. Camila (Orlando Pride) right footed shot from outside the box is too high from a direct free kick. Corner, Orlando Pride. Conceded by Poliana. Attempt blocked. Camila (Orlando Pride) right footed shot from the left side of the box is blocked. Assisted by Mônica. Attempt blocked. Marta (Orlando Pride) left footed shot from outside the box is blocked. Assisted by Rachel Hill. Jasmyne Spencer (Orlando Pride) wins a free kick on the right wing. Attempt missed. 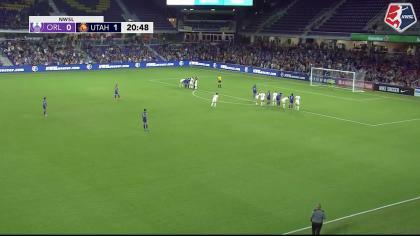 Ali Krieger (Orlando Pride) header from the left side of the six yard box is close, but misses the top left corner. Assisted by Marta with a cross following a corner. Attempt blocked. Rachel Hill (Orlando Pride) right footed shot from the right side of the box is blocked. Assisted by Jasmyne Spencer.